The county of Pembrokeshire is the perfect destination for your holiday in Wales. Surrounded by sea on three sides, it is simply stunning, and full of exciting things to see and do. 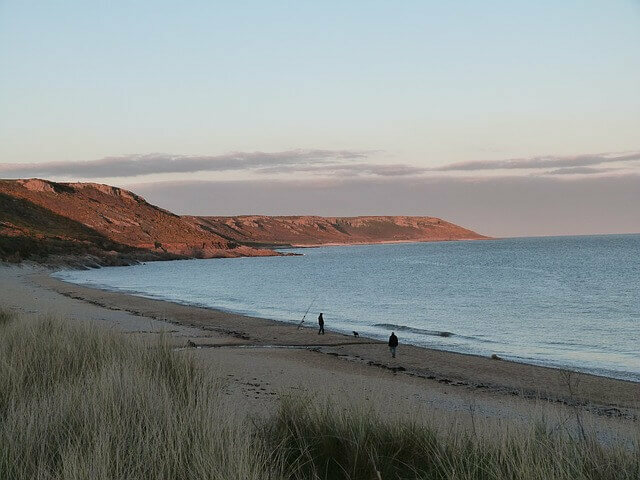 It is popular with nature lovers, walkers, water sports enthusiasts and outdoor adventurers, beach combers, geologists, historians and foodies alike. The county town is Haverfordwest, and there are many Victorian seaside towns, vibrant market towns and charming villages to explore and enjoy. David's is the UK's smallest city, with a wonderful cathedral. The Pembrokeshire Coast National Park encompasses a third of the county, and has spectacular coastline with fascinating geology including sea caves, folding, stacks and arches. The landscape varies between sandy beaches, rugged cliffs, serene estuaries, forests and rolling countryside covering 243 square miles. The National Park includes a 186-mile walking trail; the Pembrokeshire Coastal Path. Elsewhere, there are sights such as the Preseli Hills, where the stones used to build Stonehenge were quarried. Pembrokeshire has 83 beaches, with more Blue Flag and Green Coast award-winning beaches than any other county in the country. Some are ideal for families and some are less accessible and offer peace and seclusion. Historians will enjoy the large number of castles around the county, including Pembroke Castle housed on a site that has been occupied since Roman times. Pembrokeshire hosts many attractions including Manor House Wildlife Park, Pembrokeshire Motor Museum, Tenby Lifeboat Station, Folly Farm Adventure Park and Zoo, Dinosaur Park, Blue Lagoon Water Park, Colby Woodland Gardens and Oakwood Theme Park, with its roller coasters and rides.